Levelone wireless Access Points/routers/ipcameras/voipsolutions/switches. Create a wired or wireless surveillance system by connecting these cameras to your router or switch. Unmanaged Fast Ethernet Switches for creating reliable and easy-to-deploy networks.IFast and stable connections to your Digital Subscriber Line (DSL). 1-Port and 4-Port models available. 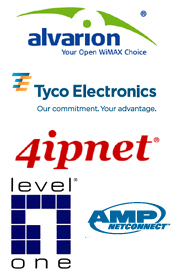 Levelone wireless Access Points/routers/ipcameras/voipsolutions/switches. Create a wired or wireless surveillance system by connecting these cameras to your router or switch. Keep an eye on your assets from anywhere in the world by using the internet to view what is happening at home.Increase the viewing area of your home or office surveillance network by adding a P/T/Z network camera. Unmanaged Fast Ethernet Switches for creating reliable and easy-to-deploy networks.Unmanaged Gigabit Ethernet switches for large file transfers and improved bandwidth management.Fast and stable connections to your Digital Subscriber Line (DSL). 1-Port and 4-Port models available.N_Max technology gives users a huge boost in distance and throughput compared to 11g technology. Rated at up to 300 Mbps, N_Max is ideal for sharing wireless internet across multiple computers in the home or office. Also uses MIMO technology for best-in-class performance and reliability. Based on 802.11n technology, N wireless products are single-stream solutions that allow users to boost their network to up to 150 Mbps. This is the perfect upgrade for home or office users looking to step up from 11g to 11n.